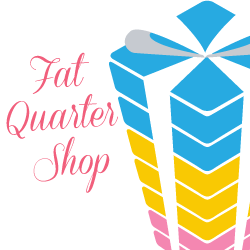 We're up to block number ten on the Patchwork Quilt Along with the Fat Quarter Shop! 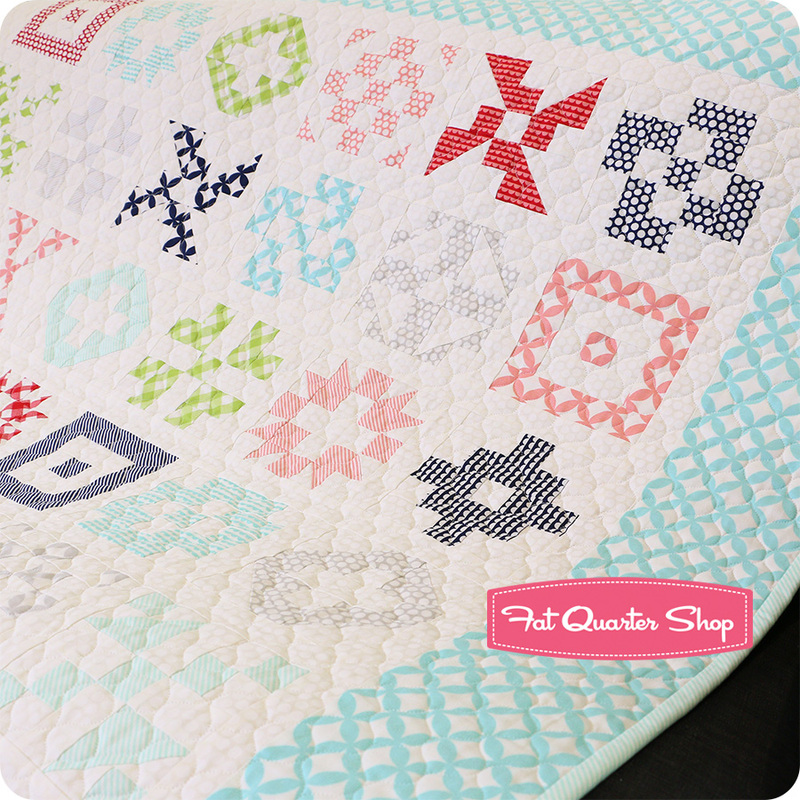 This month's block pattern is called Country Roads and you can find the free block pattern here. 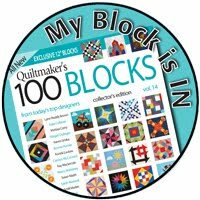 As I sat and stitched up my blocks for this month I thought about the things I do a bit differently when I'm working with small (less than 8") quilt blocks and mini quilts. 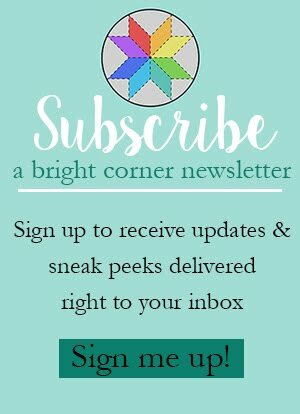 So today I wanted to share some tips - and see if you have any tips to add! I'm a recent convert to starching. I used to view it as an unnecessary step. Silly me. 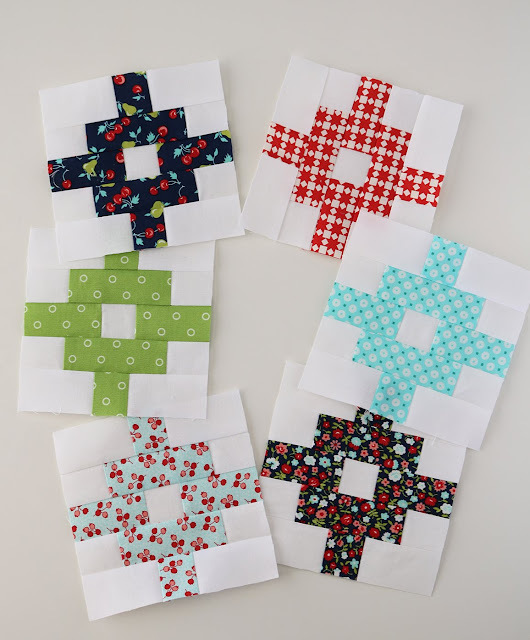 I was sewing with a friend once who starches everything and I saw how nicely her small blocks were turning out. I tried it once and was hooked. I starch the fabric a bit before I cut all of the little pieces, then I also starch the adorable little blocks when they're done. 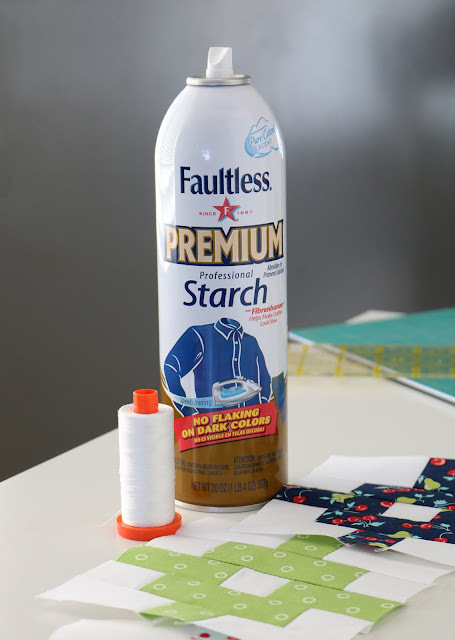 My favorite is Faultless Premium Professional Starch. Take the time to cut each piece accurately. When I'm cutting for a larger quilt I will line up a whole cutting mat of strips and cut them all at the same time for efficiency. But when I make these tiny blocks, I take my time and cut just one or two pieces at a time. I've found that cutting less at a time helps with accuracy. Also, with larger blocks and larger pieces of fabric sometimes you can fudge things a little and the block will still look fine. But when working with such tiny pieces, each 1/8 of an inch makes a big difference! I used to think that the thread I used didn't make much of a difference. I would try to match the thread color to the colors of the fabrics, but other than that I didn't put much thought into my thread choice. The first few blocks of this quilt along, I had problems with my block seams looking and feeling so bulky. They just wouldn't press as flat as I wanted them. Changing out my thread to a thinner thread made a difference! 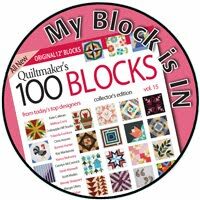 Now when I'm working with small blocks I make sure to swap out my thread. My current favorite is Aurifil 50/2 (50 weight thread, 2 ply.) To learn more about thread weight, there's a great article here on the Connecting Threads blog. Each machine, each presser foot, and each quilter seems to have a slightly different 1/4" seam allowance. 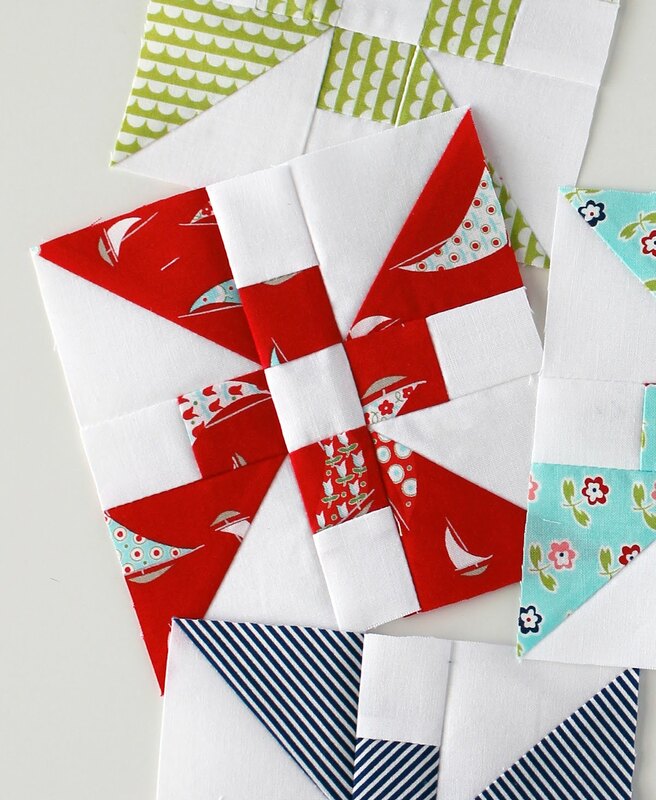 I have a foot that works for my regular piecing, but when I'm piecing small quilt blocks I have to move my seam allowance over just a thread or two. Just that tiny bit helps! And if you think about it, with these blocks sometimes we'll have four seams across the 5.5" width of the block. A thread or two difference in each seam can add up, and make the difference between a 5.5" block and a 5.25" block! 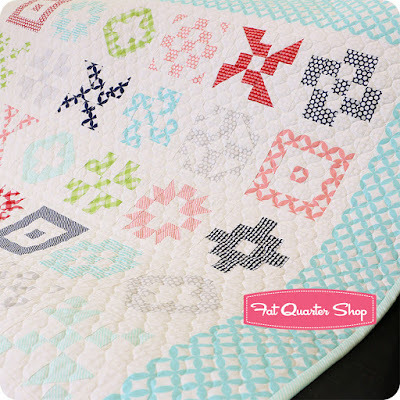 This may seem like a common sense one to you, but when there are pressing recommendations as a part of the quilt pattern I pay attention! Usually when I disregard them- thinking I know better, then the block doesn't lay quite right, or piece as accurately as it could. If there are no pressing directions in the pattern, then take a minute to think about how the block will go together. Press seams so they will nest if possible. Ok so this isn't really a tip that will make your piecing more accurate, but it still fits in this list! Small scale prints work great with small scale blocks. You absolutely can use large scale prints in small blocks, but you'll lose some of the best parts of the large scale print when you have to cut it up into small 1.5" x 1.5" pieces. That being said, use what you want! There's been times when I love the print so much I use it anyway. See the red block below? You can't really tell that those are sailboats, right? The print I used in the second photo is much more effective for the small block. 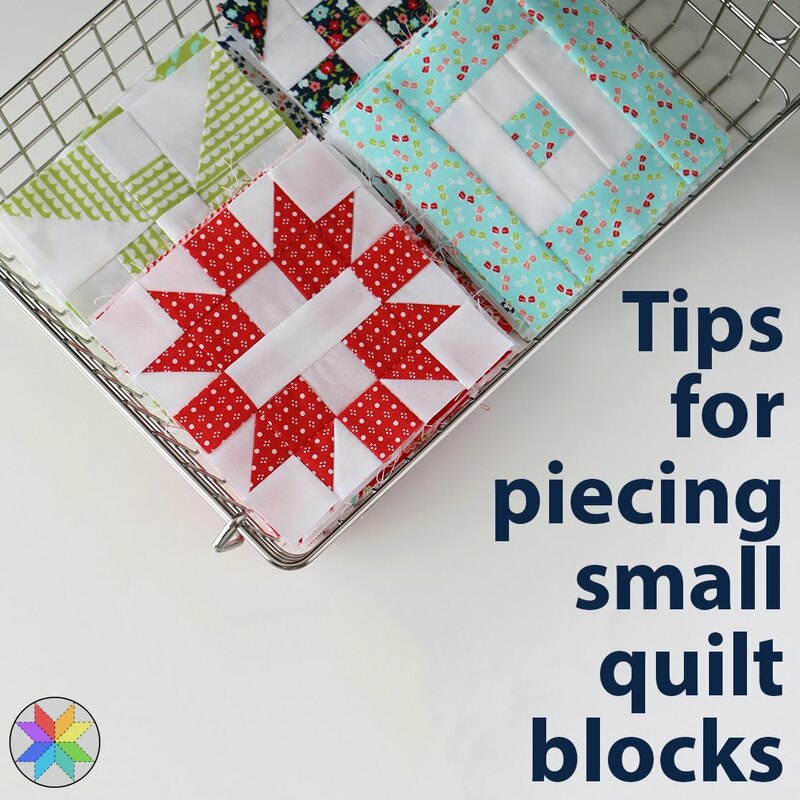 It's just something to consider when selecting fabrics for your small quilt blocks & mini quilts. 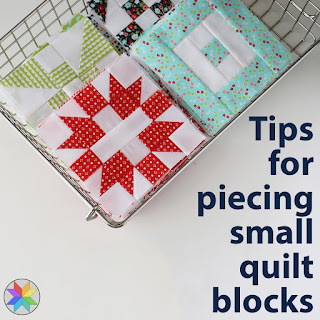 So there you go - my favorite tips for piecing small quilt blocks. Have any tips you'd like to add? 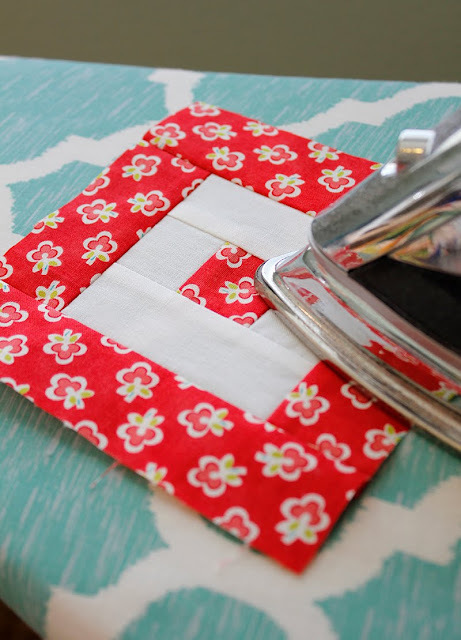 My tips are to use rulers with 1/8 inch markings and YLI Soft Touch 60 wt cotton thread for small piecing. The starching is very important,makes your accuracy and edges so clean. 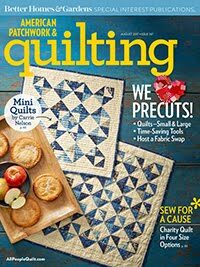 I love the challenge of tiny piecing and it looks awesome when it's done well. i appreciate that you shared these tips. Thanks for taking the time! Some I already do, and some are new to me. I'll tear this page from your book and see how I do! Enjoy your day! I see that you are using "real" starch...I've been using Best Press starch alternative. Do you find a significant difference? 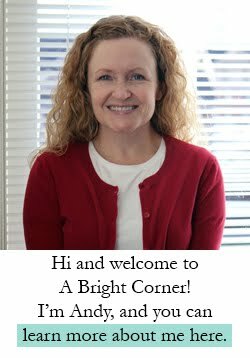 Hi Kris - I do have a small bottle of Best Press but every time I use Best Press it makes my eyes and throat itch. Weird! And that happens with even the unscented. So I stick to starch now. I did feel that starch did just a slightly better job though. I make my own starch "alternative" using 2oz liquid starch, 2oz cheap potato vodka and 8oz water in a spray bottle. It's non-aerosol, inexpensive, and works better than any commercial product I've found. What stitch length do you recommend? 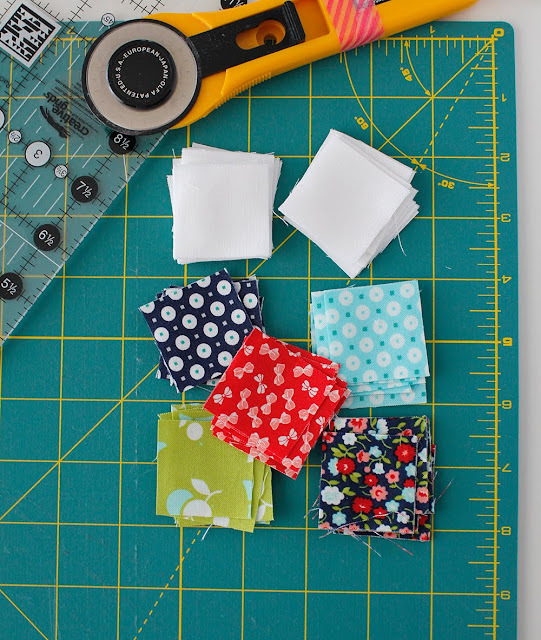 A TIP I recommend for working with really small pieces is to lay your pieces out on a very light weight fusible web. Lay pieces with their edges touching - then iron the pieces to the fusible web. When you pick it up all the little pieces are now attached to the one piece of fusible web. Now go to your machine and stitch the rows across then stitch the rows up and down. 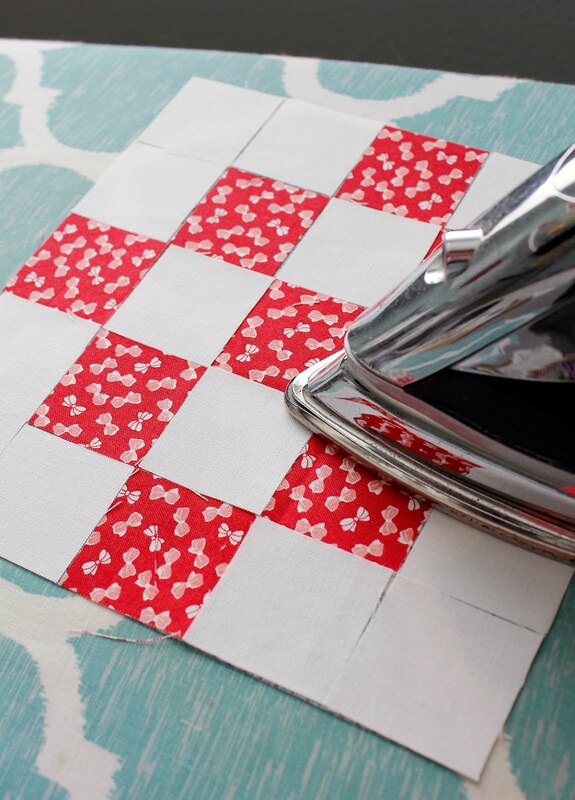 This make Easy Work of Small Pieces. Hope you try this method and like it - enjoy!!! 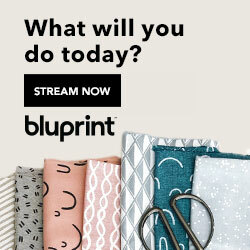 I’m going to start my first mini quilt today. Thanks for the great tips!